Relieve your stress. Improve your health and longevity. 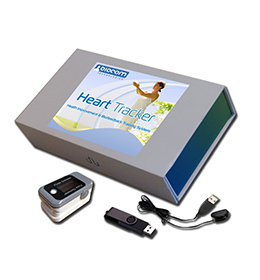 Heart Tracker is a powerful personal tool designed to relieve stress, mitigate various stress-related health problems. The Heart Tracker is based on well-known phenomenon of positive effect of deep paced breathing on body's internal mechanism of self-regulation. It is recommended to use a simple and intuitive biofeedback training technique provided by the Heart Tracker just for 10-15 minutes a day. Using the positive effects of paced breathing that augments respiratory sinus arrhythmia (RSA). 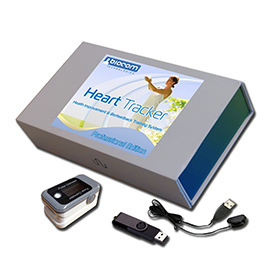 The Heart Tracker Professional is a powerful tool designed to improve your health and mitigate negative impact of the stress on your body. It uses a positive effect of the paced breathing on body's internal mechanism of self-regulation. A special biofeedback training exercise is applied to your self-regulatory system. A short-term effect of such exercise is a stress relief causing better physical and mental relaxation, lowering blood pressure, strengthening immune system, etc. A long-term effect of regularly performed exercise sessions is improvement of the overall health condition.